Some people from the UK may feel that Australia is too far to travel for an active, diverse trip. How would you convince them otherwise? I promise you, it’s well worth the effort! It is a long way to go and you do suffer from jet lag. But once you’re there it’s such a fabulous holiday and all so accessible. 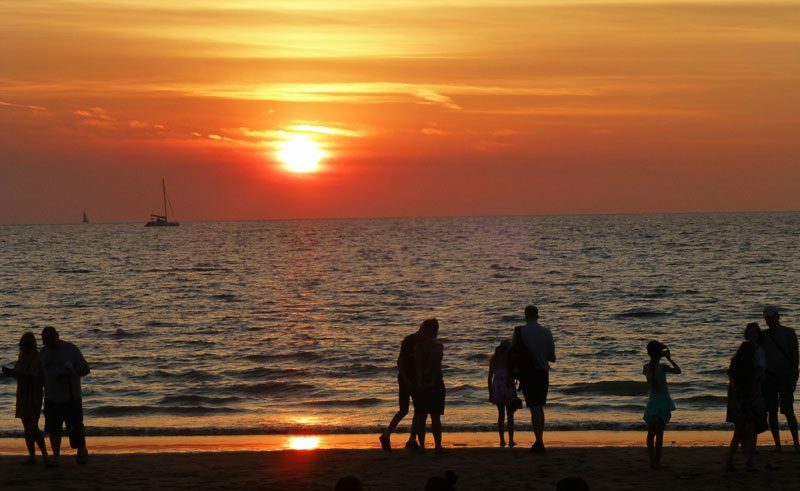 There is so much to do and such a wonderful variety from the barrier reef to the rainforest, from the outback to the beach, from the Kakadu wilderness to outdoor cinemas in Darwin. It’s easy to have what feels like a really adventurous holiday with only a reasonable amount of travel, once you get there. What was the highlight of your Queensland experience? There were so many. 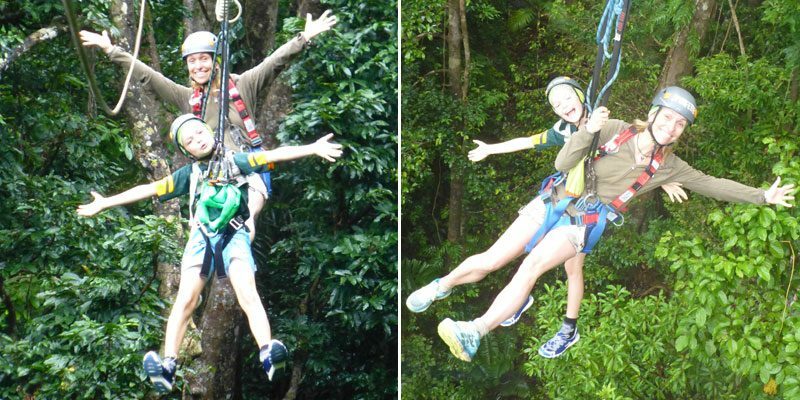 Diving on the Great Barrier Reef was amazing, zip lining through the rainforest in Cape Tribulation, hot air ballooning over Atherton Tablelands, the Skyrail Rainforest Cableway over the Barron National Park, we loved it all. 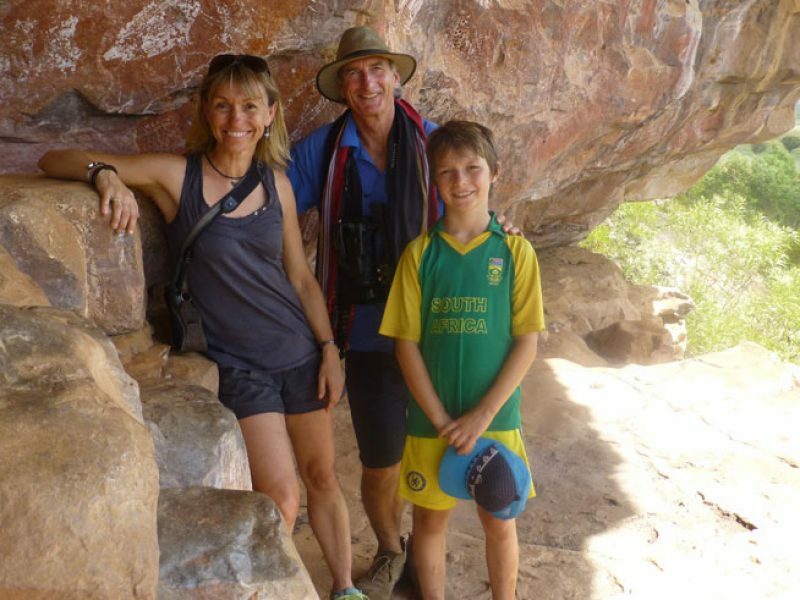 … And how about the Northern Territory? Kakadu was just stunning. We loved the culture, the history and the beauty. I also loved all the boat trips on the wetlands and all the birdlife. The outdoor deckchair cinema in Darwin was also a highlight for me. How do you like to explore the Great Barrier Reef – from above the water in a helicopter, or below the surface on a dive? Definitely from below. I love diving. I find it a real privilege to explore the underwater world. I love the fact that it’s silent. The colours and variety of the reef world always amaze me. Would you recommend diving as a family experience? Definitely. Although check who you go with. The first boat, the Ocean Freedom Cruise, that went from Cairns, let Nick and I dive together while they looked after Ollie and took him snorkelling. The 2nd boat, The Poseidon Adventures, from Port Douglas, insisted on one of us being with him. We feel very comfortable that Ollie is a capable swimmer and we are happy to leave him with professionals whilst we dive. 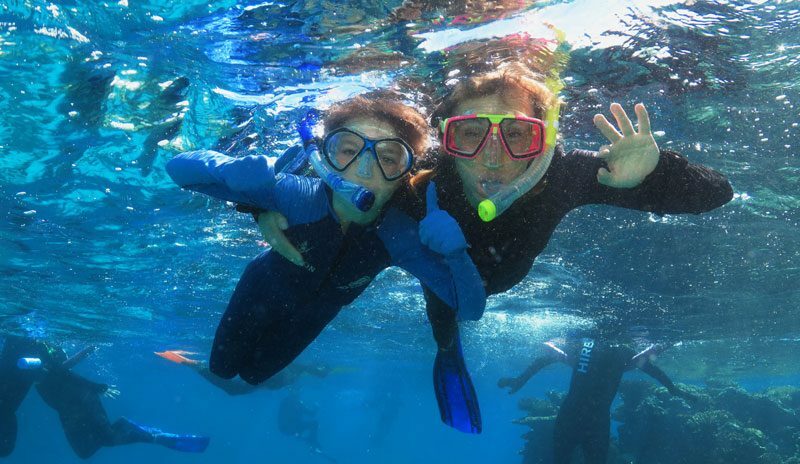 We also enjoyed snorkelling with him and experiencing the reef from his perspective, but if you want to make the most of the time diving and you have kids, it may be worth bearing that in mind. How long would you recommend for an action-packed holiday to Oz? At least 2 weeks, if you’ve got 3 weeks that’s obviously better. Were there any wildlife encounters that were a highlight for you? We loved spotting the platypus. We looked for them in the river at Paterson Creek and it was so exciting to spot not just one but two. Such extraordinary creatures and so different from anything we get at home in Africa. They’re nocturnal so to see them swimming in the open in the middle of the day was really special. I also really enjoyed the fruit bat colony at Kewarra beach. It was such an unexpected pleasure to watch them roosting early in the morning, hundreds of them squabbling and fidgeting before they settled down to sleep. And it was all thanks to jet lag! So there are definitely positives to having your sleep patterns messed around! 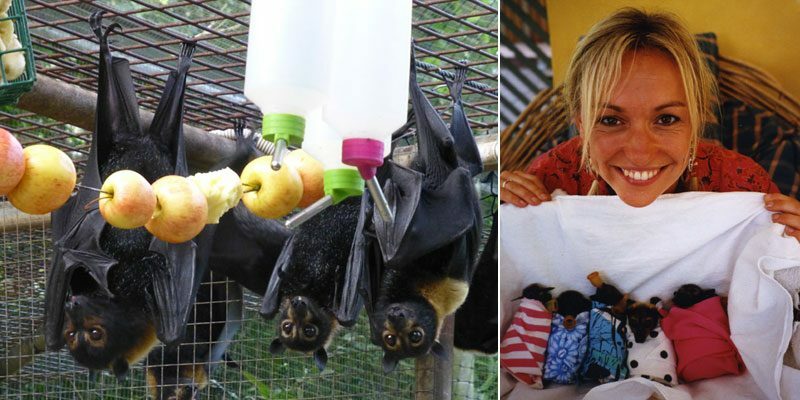 You visited Tolga Bat hospital 15 years ago. What was it like being back and how has it evolved since then? It was a really pleasant surprise to realise how close we were to Tolga Bat Hospital and I was really excited to go back. Jenny who runs it was there and remembered us filming with The Really Wild Show. When we went there to film they had loads of baby bats that needed to be bottle fed which I helped with. I was so taken by the whole experience that I wrote a poem about it in my book ‘Michaela Strachan’s Really Wild Adventure’s’ called Wrapped Up Bats. The babies are wrapped up in little blankets and given tiny little teats and bottles – it was so cute. There weren’t any babies when we went but it was still great to go back and see how much the hospital has grown and developed. If you could choose one excursion to do again, which would it be and why? 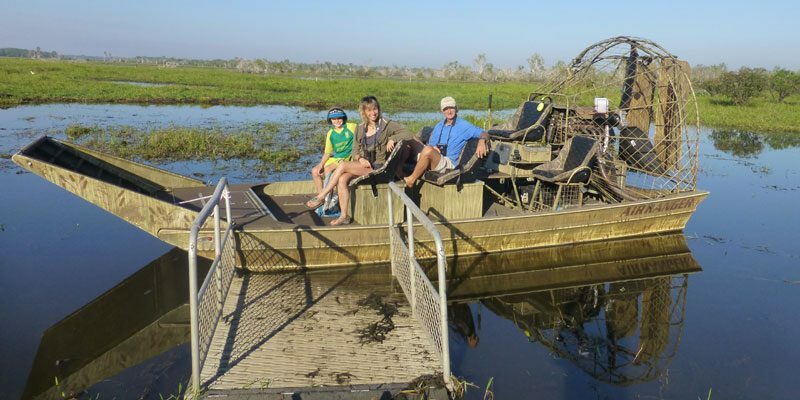 I really loved the air boat on the Mary River Wetlands at Widman Wilderness Lodge. It’s an exciting and different way to explore the birdlife and it was so fantastic to be the only boat on the water that morning. It felt like a great big playground full of feathered life for us to enjoy! What has been your most interesting job to date? There have been so many but I think the one that sticks in my mind for being the most amazing and privileged experience, was doing a special for the Really Wild Show in Antarctica. It really is the most amazing wilderness. The scenery is like nothing you’ve ever seen before and the wildlife is extraordinary. I loved every minute of our filming trip there. Although looking back on the polar plunge I did, I’m not sure I’d jump to do that again! Although it was very exhilarating. What has been your biggest adventure so far? Filming Orangutan Rescue in 1998. 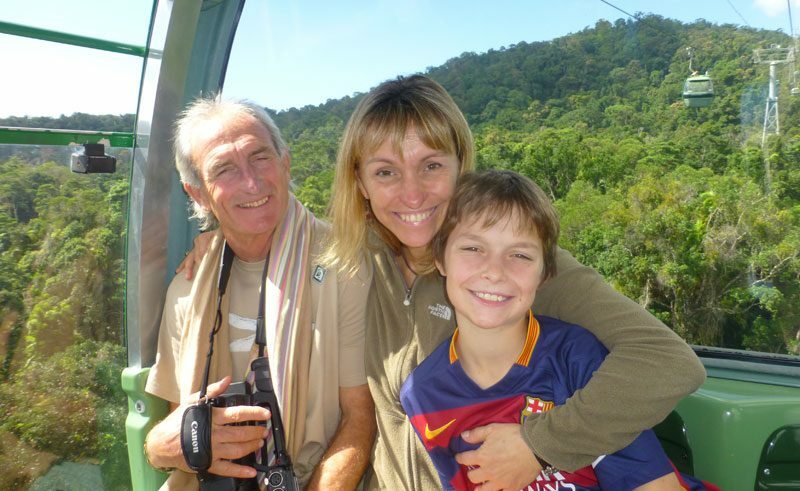 It was the first time I’d been to Borneo. We filmed after some serious forest fires and there were so many orangutans that needed rescuing. Many as a result of the fires, many as a result of logging and many from the pet industry. It was a gruelling, emotional trip but one I’ll never forget and has given me a long lasting love of orangutans. Active, varied, outdoors, full of wildlife and beauty, mixed with a bit of culture and entertainment. We are not a family who particularly enjoy cities, museums, architecture and crowds. Shoes I can walk and run in, binoculars, mammal and bird guides, patience and a sense of humour. It always helps when you’re travelling! With a rust-red outback stretching as far as they eye can see, a wealth of Aboriginal culture, endemic wildlife and unique geology, the Northern Territory offers a quintessential Australian experience, while Queensland’s verdand rainforest, coral reef and spectacular coastline are a haven for naturalists and adventurers. Find out more about Australia’s Northern Territory and Queensland and browse our range of holidays. Australia's Top End in the Northern Territory is a land of rich red earth, canyons, endless floodplains, fascinating culture and compelling wildlife. Read our top 10 highlights of this fascinating region. Take a look at online magazine for travel tips and inspiration from the experts.